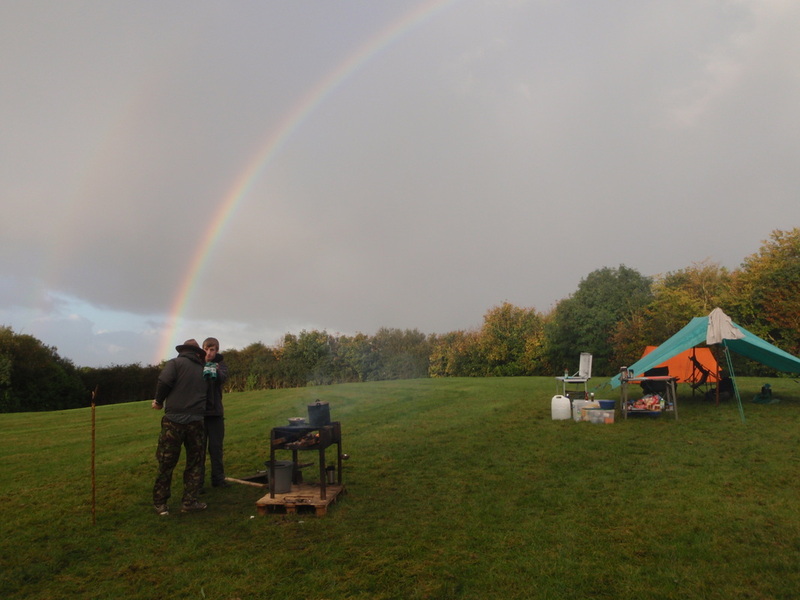 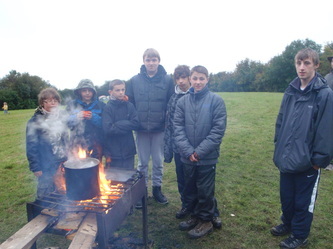 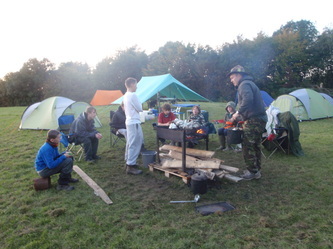 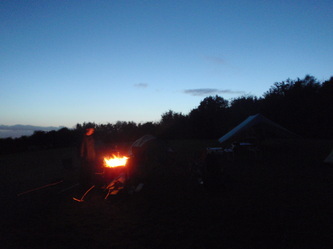 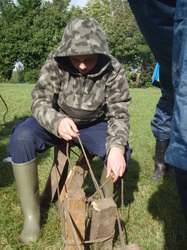 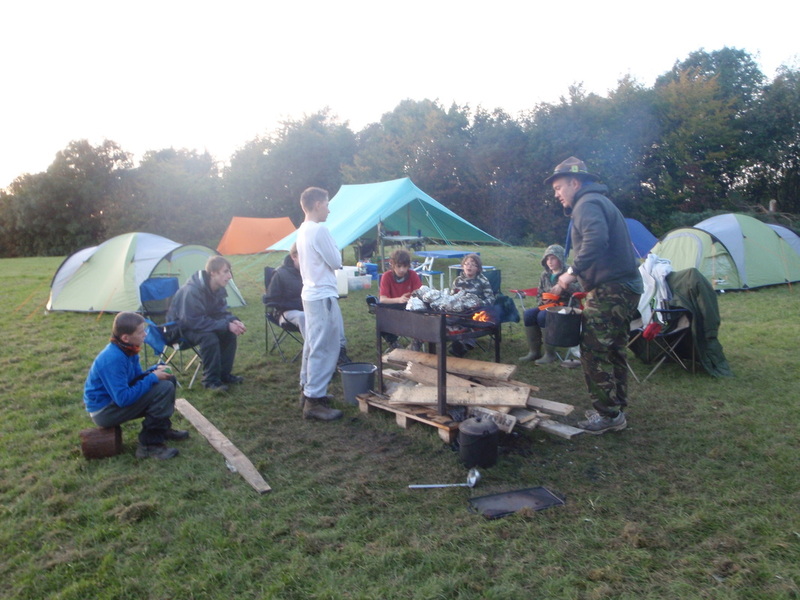 We camped at Ashworth valley in one of the wettest Septembers on record to take part in the County Pioneering badge course. 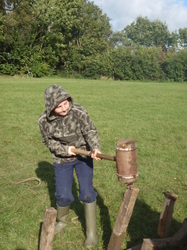 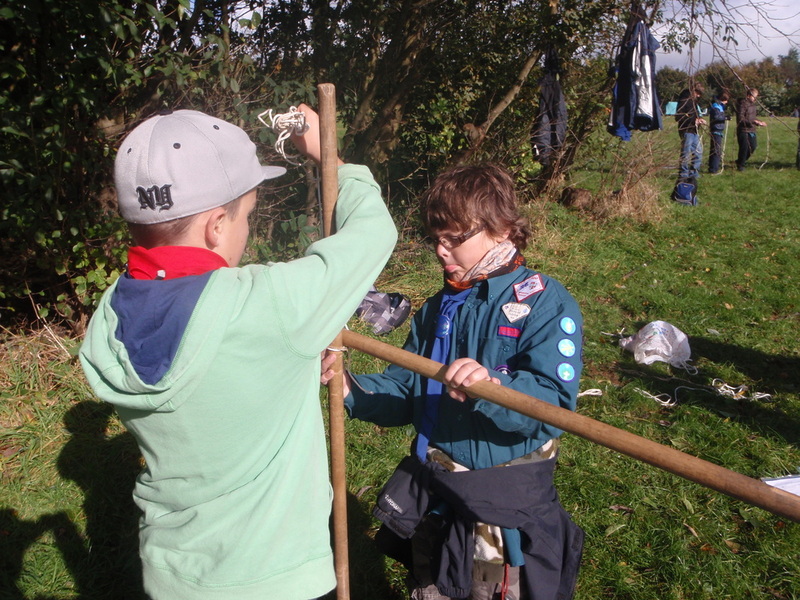 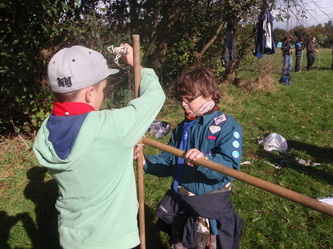 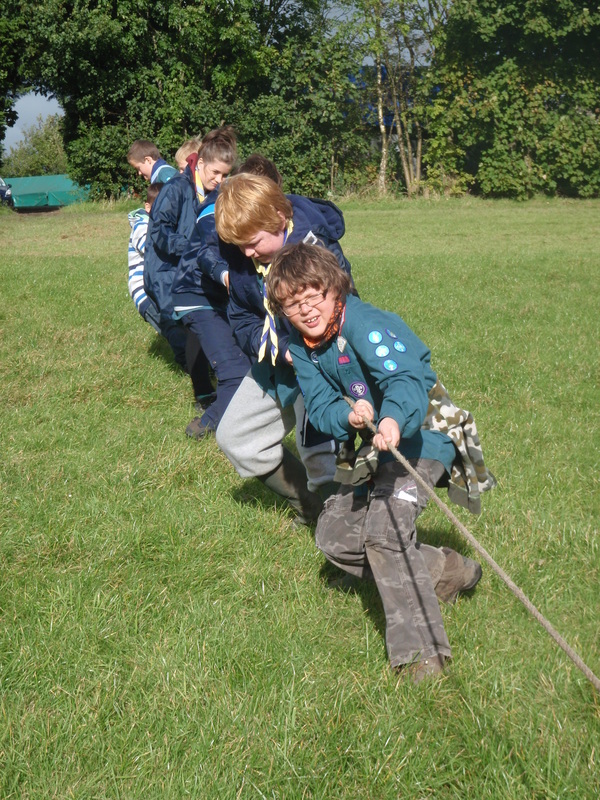 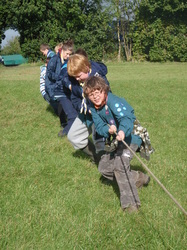 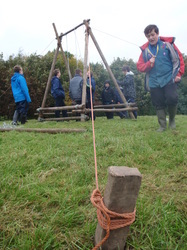 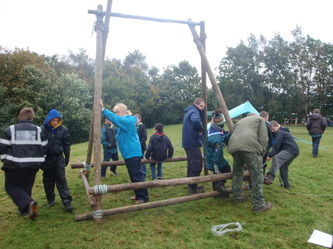 The Scouts learned lots of knots and lashings, how to splice, how to use a block and tackle and how to make strong ground anchors. 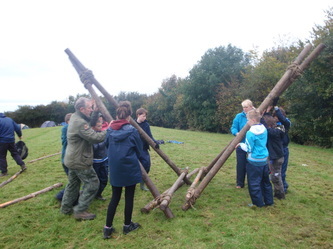 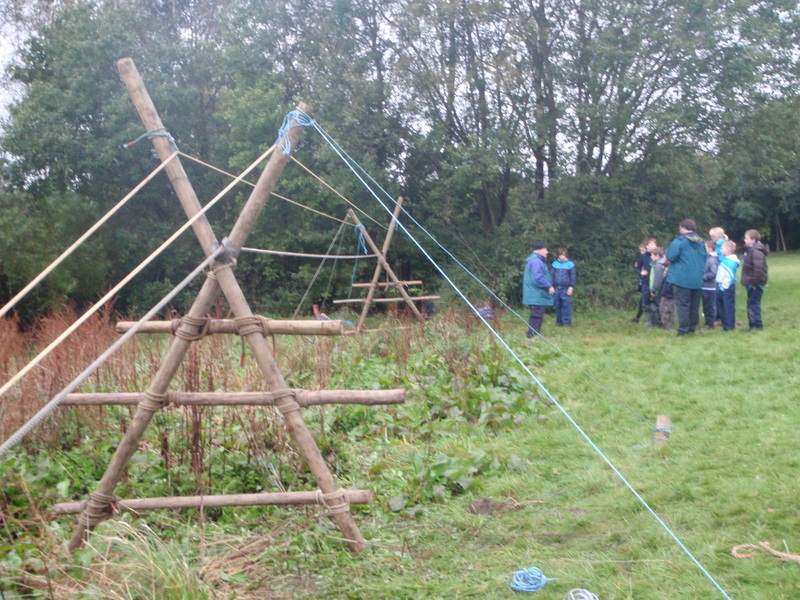 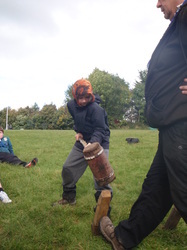 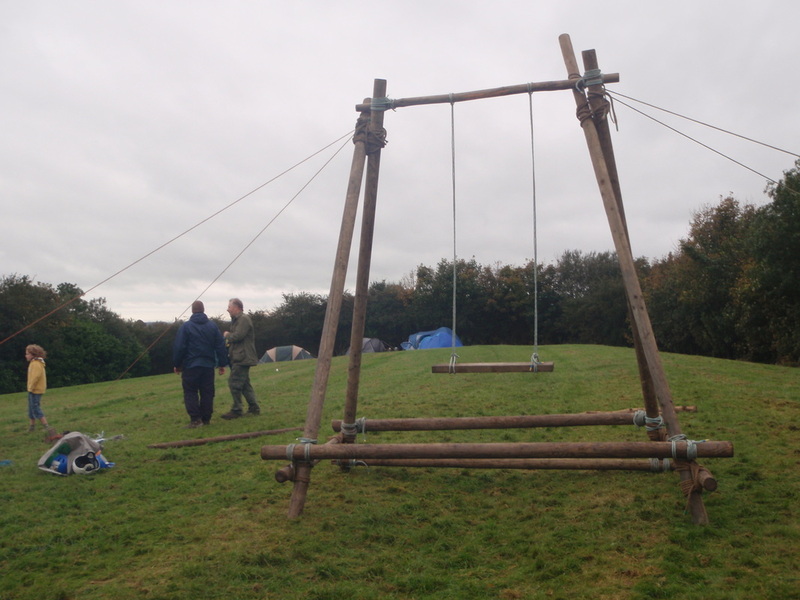 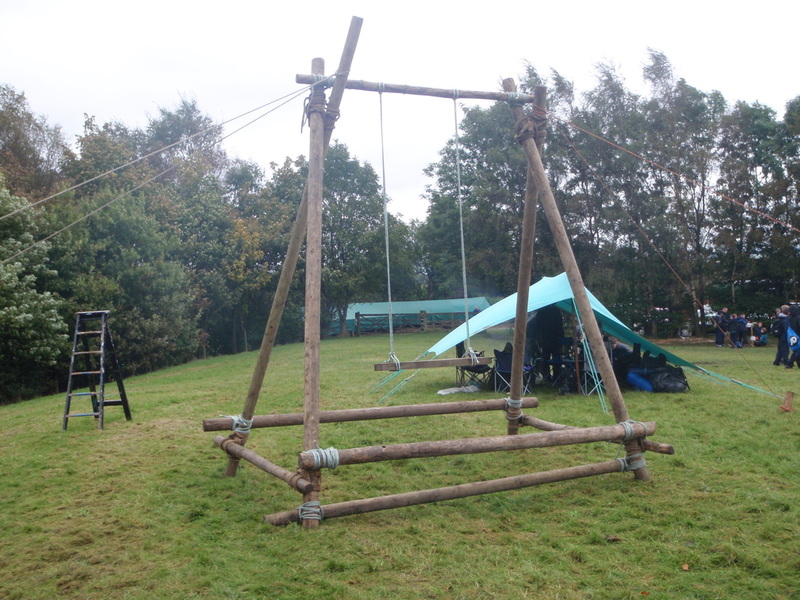 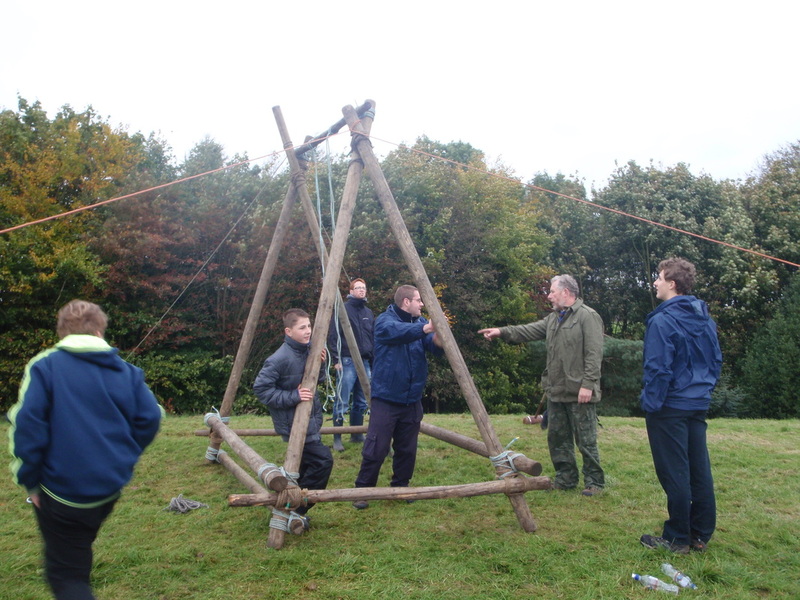 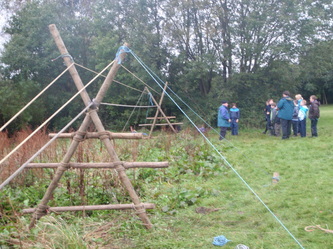 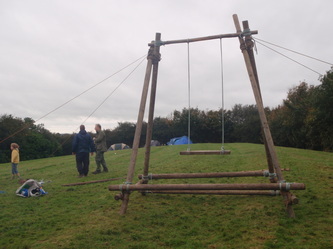 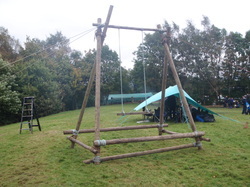 On the second day they used this knowledge to build a catapult, a camp wash stand, a monkey bridge and a swing.